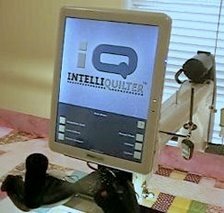 Angela Huffman walks you through the IQ on her Millennium. Note how the components are slightly different to the IQ on the Gammill in Introducing IQ, which is an older system. Angela has the newest version of IQ.